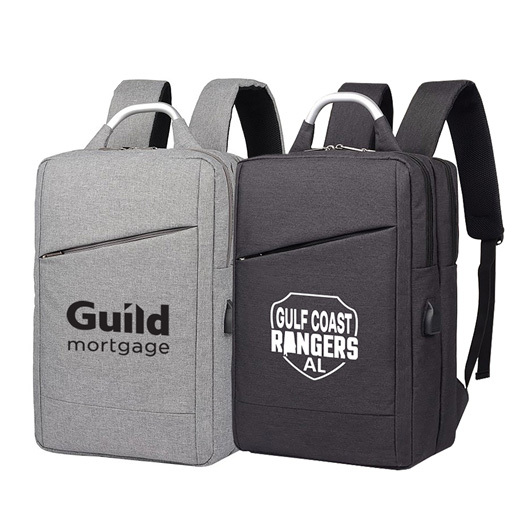 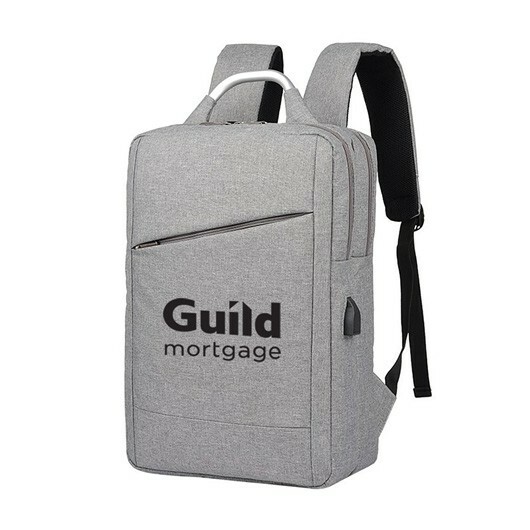 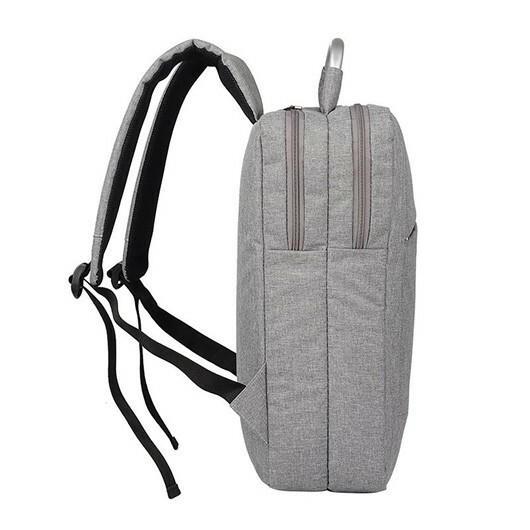 A modern look backpack with many features and your logo in the spotlight. 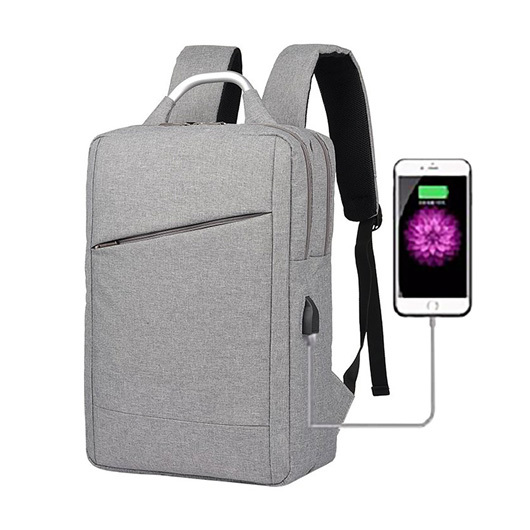 Up to date with modern retail trends and packed with features these backpacks are designed to make your life easier. 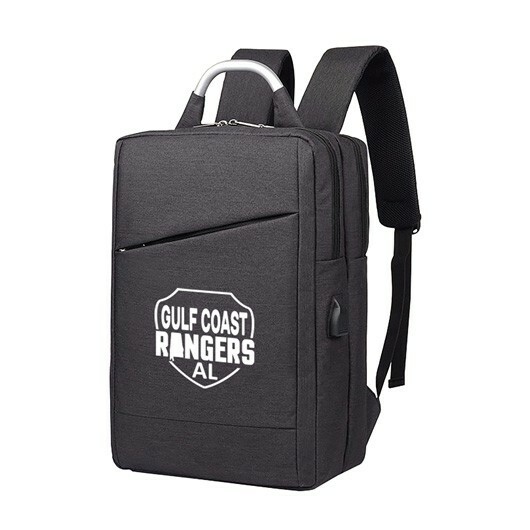 They are made from a high quality sponge nylon and have a front zippered pouch. 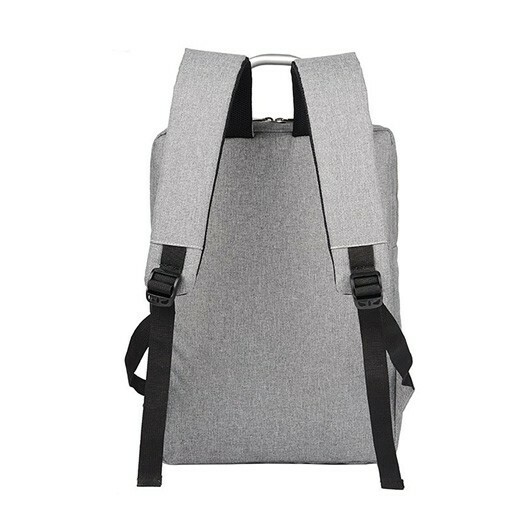 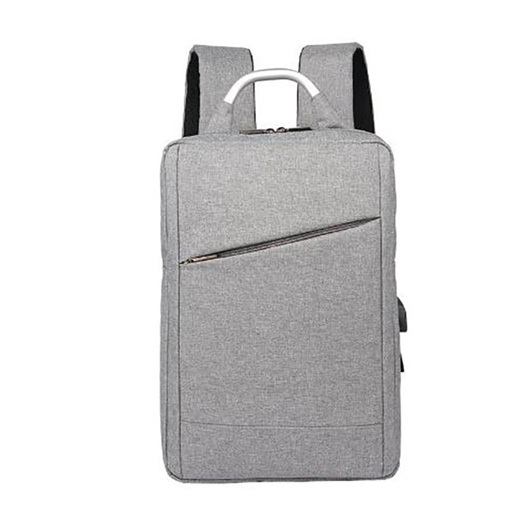 Other specifications include: 2 independent front/back compartments, 2 small pouches and pen holder in front, large pouch with black Velcro closure for laptop/tablet, USB charging port with charging cord attached, adjustable straps, aluminium handle.